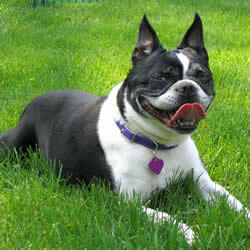 Many of the most popular dogs in the United States are small dog breeds. This represents a change over the last 50 years from the days when large and medium dogs were the people’s choice for pets. As more and more people move to where there are jobs and live an urban lifestyle, they often find it more convenient to choose a smaller pet able to adapt to city life. There are many benefits about living with a small dog, especially if you live in an urban area. Small dogs are generally very good at living in apartments since they usually require less exercise than larger dogs. Most small dogs can have their exercise needs met with a good daily walk. It usually costs less to care for a small dog breed because they require less food than a larger dog. Their veterinary care is also usually less costly than a large dog’s veterinary care. Spaying and neutering, for example, or any kind of surgery, will cost much less for a small dog. On average, most small dogs live longer than large dogs, too. It’s not unusual for dogs of many small breeds to live between 12-15 years, or longer, though this will vary from one breed to another and from dog to dog. It’s often easier to travel with a small dog breed than with larger dogs since small dogs can often fly in-cabin with you if you travel by plane. Flying with a dog in-cabin is also less expensive than traveling with a larger dog as baggage. Small dogs are also accepted at many more hotels and motels than larger dogs. Many hotels and motels won’t accept dogs that weigh more than 20-30 pounds. Some establishments, such as retail stores and even restaurants, will also allow small dogs to visit when they will turn away large dogs. Of course, many small dogs have been bred to be comforting pets for hundreds or even thousands of years. It’s their only purpose. Living with a small dog who is devoted to loving you has its own benefits. Small dogs are often cute and adorable in a way that large dogs aren’t (even though large dogs may be beautiful and very loving), which is another reason for their popularity. There are also some cons to living with a small dog breed. Small dogs often don’t realize they are small which means they can be prone to being bolder than is good for them. A small dog may get in the face of a large dog, bark, or even try to start a fight. If you have a small dog, you will need to keep him leashed at all times when you take him for walks and make sure that he behaves himself. In the home some small dogs have problems with excessive barking. Again, they may either think they’re larger than they are or they are simply trying to protect the home. Barking can be a problem, especially for your neighbors. Some small dogs can be taught to be quiet, but in some cases the barking is an ongoing problem. Some small dogs, particularly males, are hard to housetrain. It may take a very long time to housetrain them and, in some cases, you may have continuing problems with soiling in the house. This problem can be made worse if you use papers to paper train your puppy at any stage. It may be hard to get your small dog to ever stop soiling in the house and learn to relieve himself outside instead. Dog training, in general, can be harder with many small dogs. Some small dogs have a problem with so-called Small Dog Syndrome. This problem occurs when the owner allows the dog to take charge. The small dog may start showing behaviors such as growling if you touch his food or toys or if you try to move him from a sleeping spot; snapping or nipping, and generally being a terrible brat. Small Dog Syndrome has to be taken seriously because many small dogs end up biting people and they are hard to live with, if not impossible. The problem usually occurs when owners treat their small dogs like children instead of dogs. It’s always best to treat your small dog like a dog and insist that they follow your rules, even if they are small and cute. No matter how adorable your small dog is, he is still a dog. 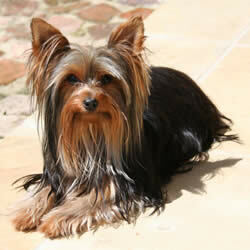 Many of the small dog breeds are not recommended for families that have children. 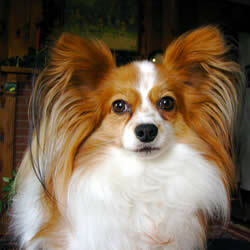 Some of the small dog breeds may be so small that they could be injured by rough play with children, or accidentally. And some small breeds don’t have a good temperament for being around children. Finally, many small breed puppies are quite expensive. Toy dogs tend to have very small litters. There may only be one or two puppies in a litter. In some cases whelping is difficult and a c-section may be needed. Small breed puppies are also very much in demand. For these reasons, purebred puppies from small breeds are often costly. Even if you plan to adopt a small breed dog, there are seldom any small breed puppies at shelters and if there are, they are adopted very quickly.